Ewetopia farm is a homestead farm in Richmond, Vermont, adjacent to the landmark West Monitor Barn (headquarters of the Vermont Youth Conservation Corps). 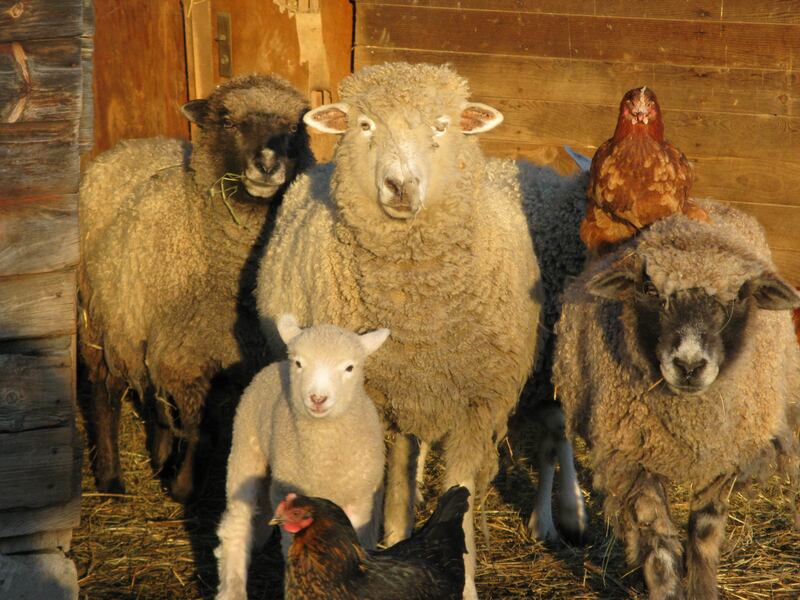 We raise a small flock of sheep, bees, and a few laying hens, producing quality wool that is carded and spun at the Hampton Fiber Mill just down the road from us. Our farm has been a working farm for nearly its entire hundred-year history, and we are committed to keeping the land and our two historic barns (which form part of a complex of barns that included the West Monitor Barn) in agricultural use. Our farm is solar and muscle powered, and our animals are raised naturally on pasture, without the use of supplements or synthetic chemicals. We sell yarn and rovings, live animals, and we offer a limited amount of meat for sale in early winter. We also offer dried flower arrangements and wreathes, with flowers and grasses we grow and forage. worked on organic farms in England, France, the Catskill region, as well as Vermont. teaches writing at the Community College of Vermont.